Always trying new K Beauty brands is a legitimate hobby of mine. I am constantly scouring the new items on websites in their K Beauty selection to see what unique offerings are going to give me that glowing, glass-like skin on all the K Beauty websites! I was doing some ingredient research lately and started down the rabbit hole of CICA-based products. From there, I discovered It’s Skin. 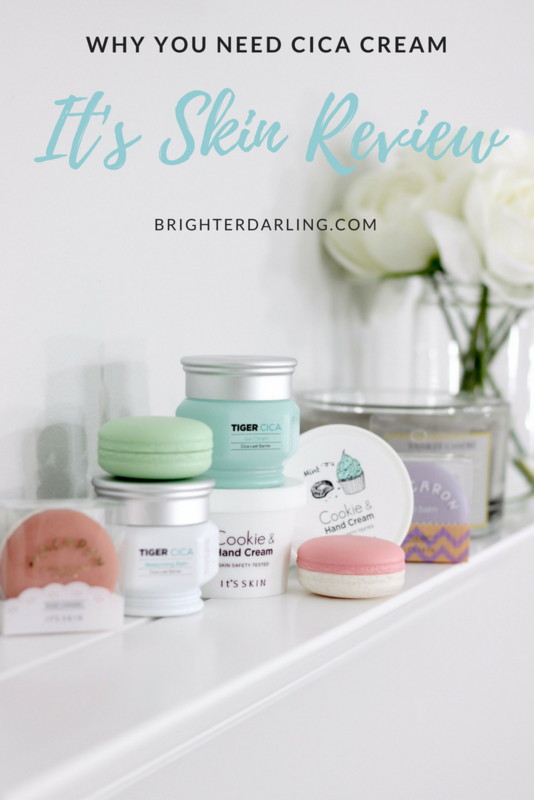 It’s Skin offers a Cica Gel Cream, Cica Balm, and a few other high-performance skincare products I’ve been testing. To learn about the secrets of Cica and what products from It’s Skin I think you need, continue reading! These trendy products contain a blend of compounds found in the medicinal herb Centella Asiatica. They claim to fight acne and soothe redness and inflammation, making them the perfect product for those with sensitive skin. What makes cica balm so special is that it uses these different extracts from centella to create a highly concentrated treatment that helps to heal skin quickly and effectively, making it perfect for those with inflamed acne or highly sensitive and reactive skin. I particularly think it would also work well if you have a damaged moisture barrier since the centella extracts will help to repair and reduce inflammation while also deeply hydrating your skin. Now that we have the gist of Cica and why it’s been used for centuries to treat skin ailments topically, if you’re into the skin care scene, you may have seen some brands incorporating Cica in their ingredients at both Sephora and the drugstore and it’s a great thing since this fairly affordable ingredient is a superstar! 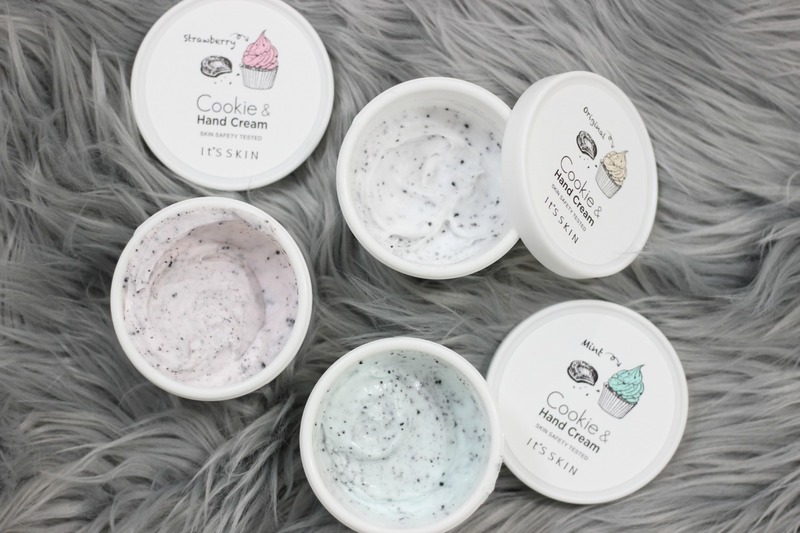 It’s Skin is a fairly new K Beauty brand to the US. Some of their items are currently retailed at Sephora, but all of these products are found on itsskinusa.com. Developed by dermatologists from Seoul University, the It’s Skin’s solutions combine natural ingredients and state-of-the-art science with innovative and fun packaging. Currently, the brand retails a full K Beauty regimen of products for skin care, some body care and some standard K Beauty cosmetics (cushion blush tints, skin tints, pore refining powders, eyeliner and brow products). 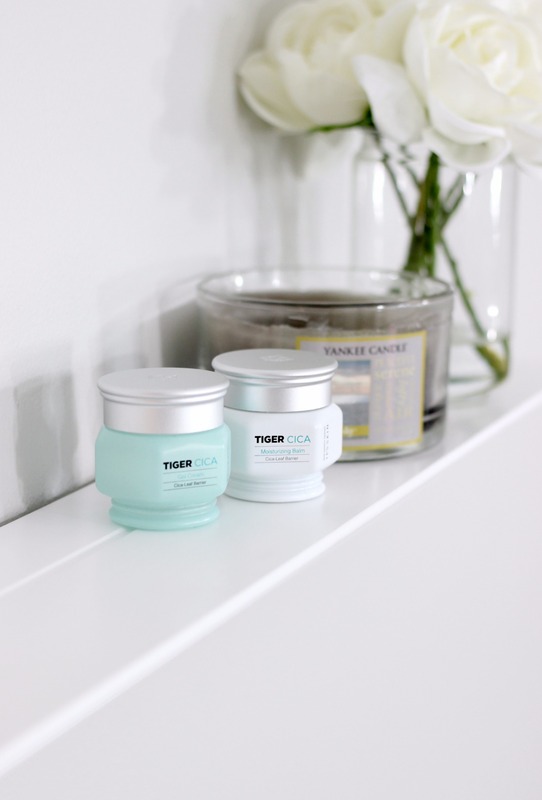 In It’s Skin’s Tiger Cica line, they have a Tiger Cica Gel Cream and a Tiger Cica Moisturizing Balm. The Gel Cream is lightweight, non-sticky and perfect for oily/combination skin. It contains 68% Cica extract and retails for $30. The Moisturizing Balm is a thick, gel-balm texture that provides a protective finish for more intense inflammation and dryness. It contains 55% Cica extract and retails for $29. Either one of these can be used morning and night until fully absorbed. I’ve been using the balm in the evenings and the gel in the mornings. My favorite is the balm this time of the year – even my husband is stealing it off my counter saying it’s the best moisturizer he’s tried for the price! The unique feature of It’s Skin’s Cica products is they are free of 10 harmful ingredients that really affect sensitive skin types like me. You won’t find parabens, phenoxyethanol, artificial coloring, artificial fragrance, triethanolamine, triclosan, mineral oil + more irritants in these formulas. 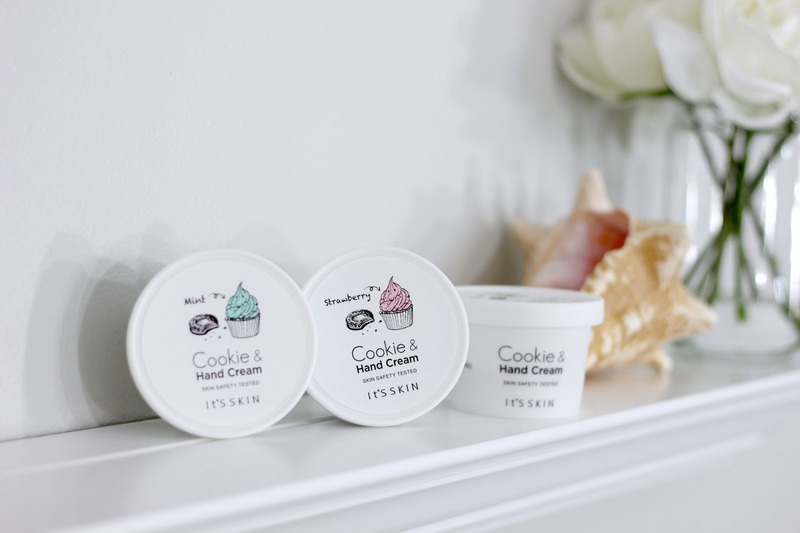 After the balm, the Cookie Hand Cream is AMAZING. I don’t know about you guys, but with the cold and dry winter in New Jersey, even my HG hand cream hasn’t been doing me justice so I gave this one a try. Not only does it look like cookies and cream, but it smells like it and feels incredible! With luxuriously hydrating ingredients like macadamia seed oil, shea butter, mango seed butter and sweet almond oil, this hand cream heals my skin overnight and I’ve noticed my cuticles aren’t nearly as dry anymore. Comes in original, strawberry and mint cookie scents. Retails for $10. How cute is the packaging of these beauty products!? 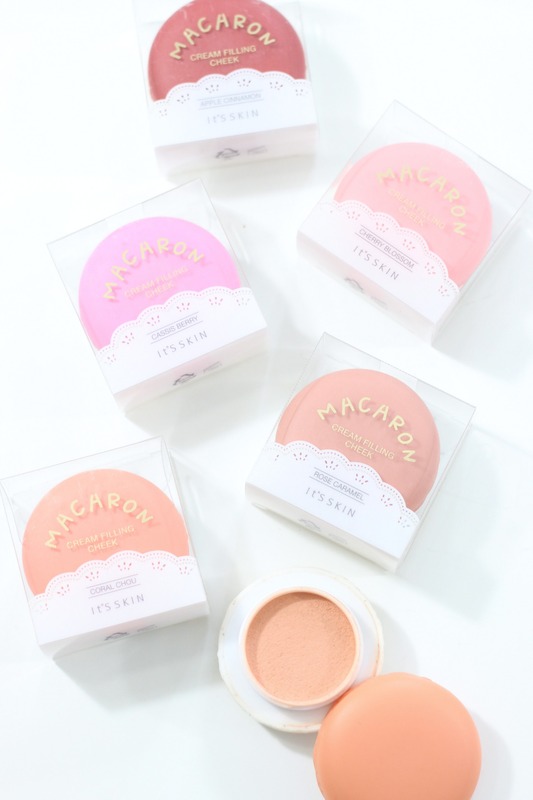 The Macaron Cream Filling Cheek colors are a cream-to-powder blush that melts into the skin. I really love Apricot Jam for that perfect soft peach flush and it truly does dry down to a silky powder – perfect for my more oily skin. The cream cheeks come in six shades and retail for $12. 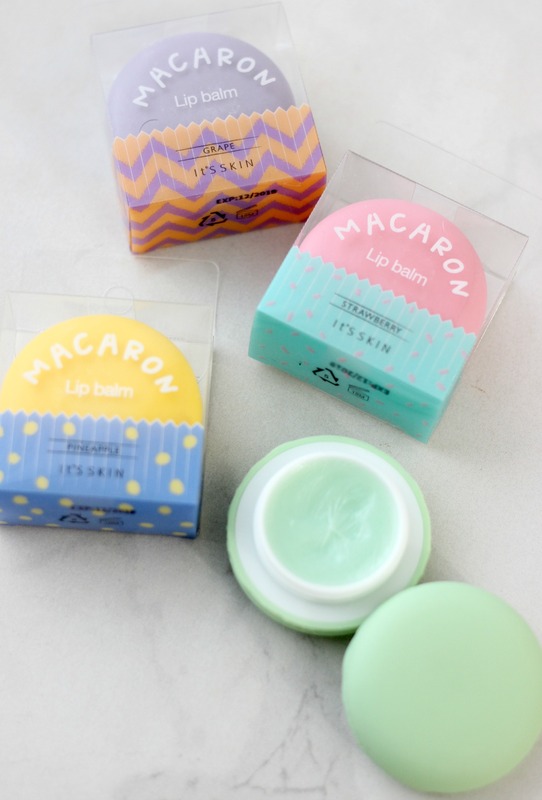 The Macaron Lip Balms come in the most fun fruity flavors! I IMMEDIATELY opened the Green Apple one and fell in love. I’m obsessed with green apple! These are perfect for throwing in your purse and are full of antioxidants and vitamins A, C and E to keep lips soft and smooth. They come in four flavors – strawberry, green apple, grape and pineapple – and retail for $9. 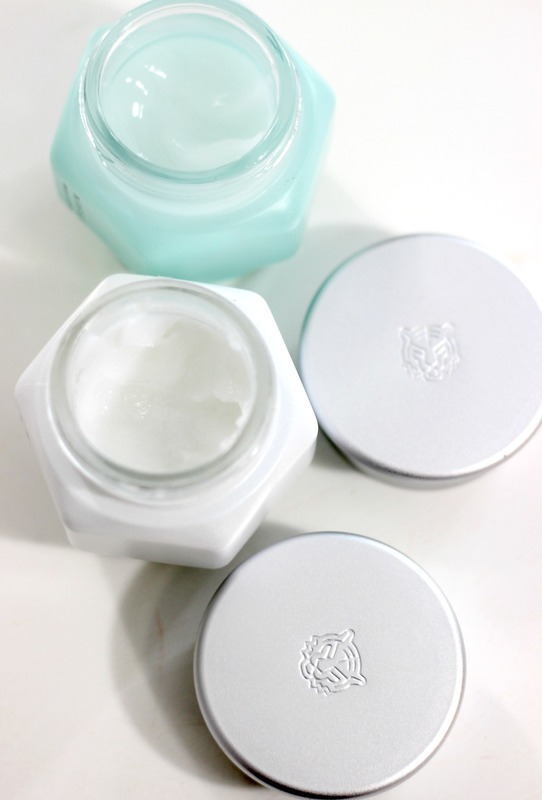 If you needed to try three things from this line, I’d highly suggest the Tiger Cica Balm, Hand Cream, and a Cream Cheek color. 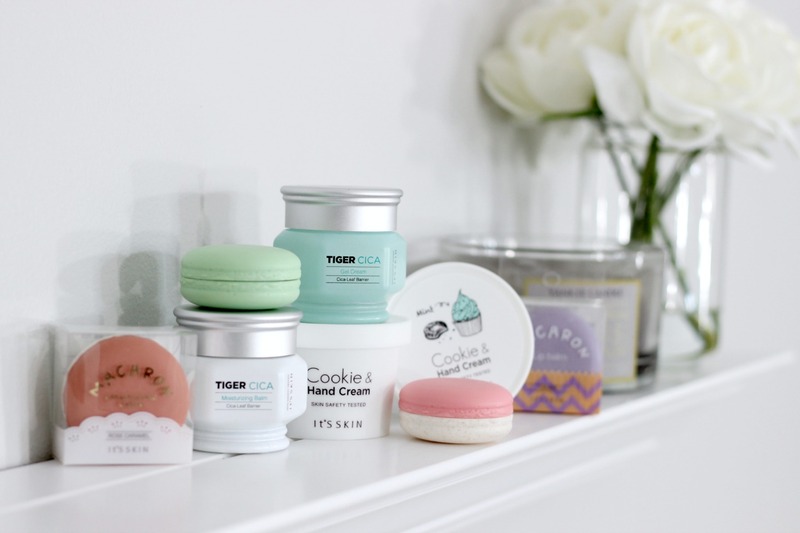 Luckily for you, I partnered with It’s Skin to give away a set of (1) Tiger Cica Moisturizing Balm, (1) Macaron lip balm, (1) Cookie and Hand Cream – Strawberry, (1) Cookie and Hand Cream – Mint to TWO winners! All you have to do to enter is leave a comment on this blog post letting me know if you have tried K Beauty products yet. If you have, what products are your favorite? Make sure your email address is attached to your comment so I can contact you if you win. CONGRATS TO JULIA AND JILLIAN ON WINNING THIS GIVEAWAY – THANK YOU ALL FOR YOUR SUPPORT! "BOXYCHARM February 2018 Review | Three Month Final Analysis"